Unusual images of a very long time ago Siamese. The first is a drawing by National Cat Club Chairman of committee, Louis Wain. 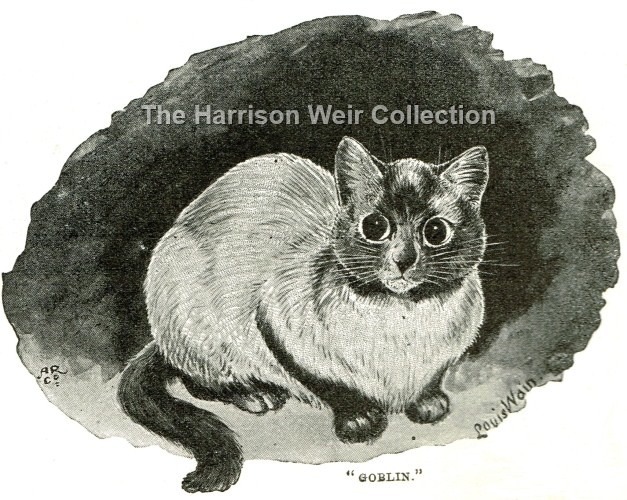 The cat in question is "Goblin" a Siamese owned by the Duchess of Bedford. 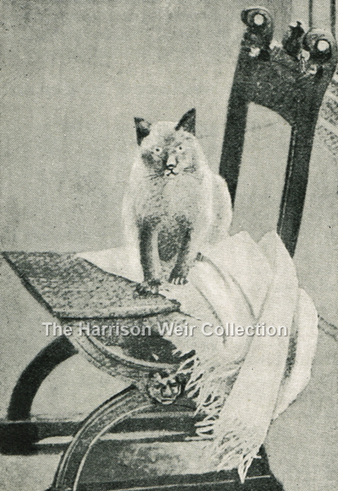 The second image is a poor photo of the same cat, seated on a chair in the home of the Duchess. Both images date from around 1895.